Pulsenomics surveys a nationwide panel of over one hundred economists, real estate experts and investment & market strategists every quarter. They ask them to project how residential prices will appreciate over the next five years. 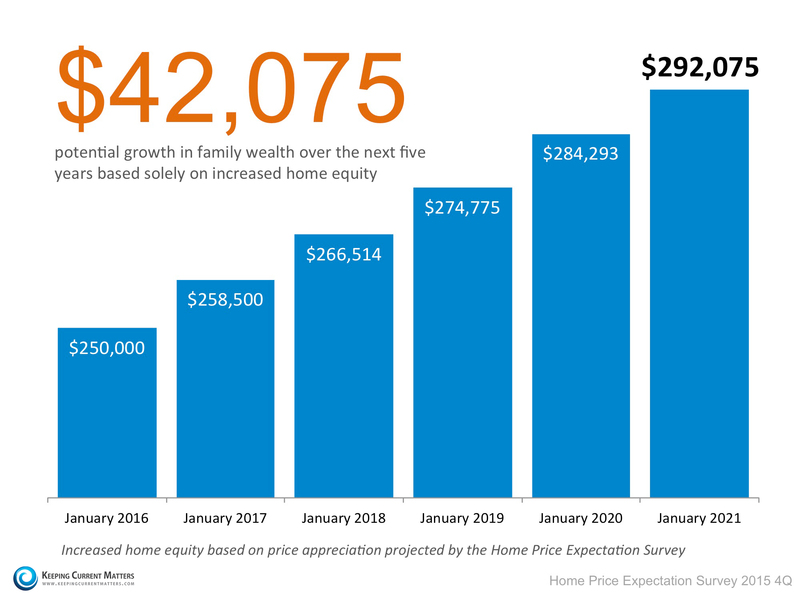 According to their latestsurvey, here is how much value that $250,000 house will gain in the coming years.